Since their demolition of Gresley on New Year’s Day, the Nailers have struggled to find the form that made them play off favourites a few weeks ago. Injuries and suspensions haven’t helped and luck deserted them as well at the i2i Stadium as they managed to hit the woodwork three times during the game. Danny South and Nathan Curtis were available again after serving their suspensions and both came straight back into the starting line up with skipper South playing in a centre forward role. Albion had top goalscorer Joe Lumsden leading their attacking effort although the Nailers managed to keep him off the score sheet in this game. A needless free kick had been given away giving Billy Whitehousey the opportunity to launch the ball into the Belper penalty area where defender Harry Coates headed unchallenged into the Belper net. The Nailers had a good chance to equalise 2 minutes later after Danny South helped the ball on in the penalty area, and Piteu Crouz turned and lifted the ball over the ‘keeper, and the cross bar. Billy Whitehouse caused problems all afternoon with his crossing ability and he set Aiden Savory up with another heading opportunity in the 9th minute but fortunately he was off target. Another pinpoint cross from Whitehouse fell to Chris Howarth who blasted the ball over the top, then Danny South’s header from a Danny Gordon corner kick needed the cross bar and a touch from James Hodges to keep the ball from going in. Piteu Crouz put a shot wide on 37 minutes only to be followed by an Isaac Assenso header from Craig Nelthorpe’s 40th minute free kick that also went off target. Crouz broke through in the final minute of the half only to waste the crossing opportunity, and the Nailers had performed steadily in the first period which gave hope for the second. Unfortunately the Nailers’ start to the second period was just as bad as the first in that they conceded an early goal this time from a corner kick to the near post that Billy Whitehouse forced over the line from very close range. This set back put the Nailers out of their stride and they could have conceded again when Aiden Savory fired wide and then James Lumsden miss kicked a good opportunity less than 12 yards out. Belper improved as the half wore on and they were unlucky on two more occasions; firstly when Piteu Crouz’s 71st minute free kick thundered against the cross bar, and again when Danny Gordon’s 75th minute volley struck the woodwork assisted by a cross from Derek Ubah. Belper managed a consolation goal nearly 3 minutes into added on time when arguably the Nailers’ best performer of the afternoon, Piteu Crouz scored with an angled rising shot that bulged the net. Belper’s display merited at least a point but silly goals conceded are jeopardising their league position as we move into February. Tadcaster Albion: Hodges, Hardy (Barkworth 18), Walters, Roper, Coates, Miller, Whitehouse (Buckle 84), Rose (Stewart 78), Lumsden, Howarth, Savory. Unused sub: Mycoe. 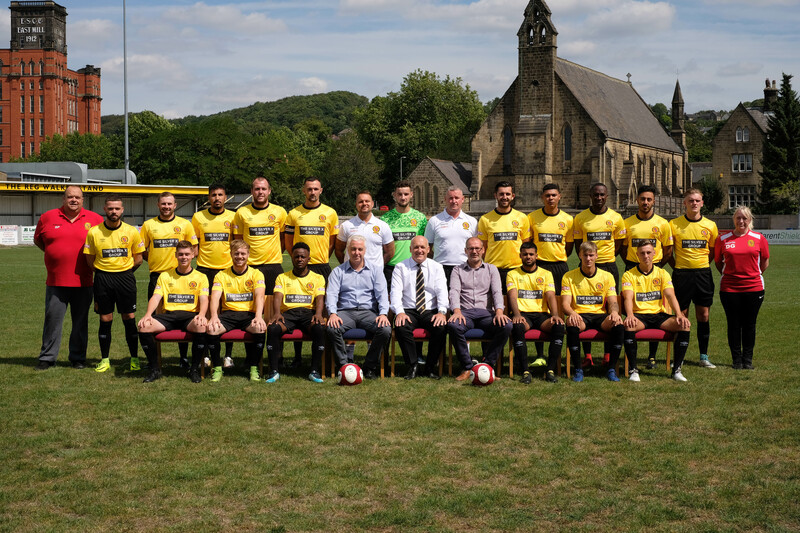 Belper Town: Overton, Thompson, Nelthorpe (Clark 55), Robson (Colbear 84), Assenso, Ubah, Crouz, Gordon, South, Milner, Curtis (Owen 57). Unused subs: Deacey, Pugh.